This month we have had some glorious weather and it is regrettable that we didn't manage to fit in a holiday as we usually do. We have taken the opportunity to work in the garden and get some of our plans moving forward. The good weather has meant that Steve has been going to work with the top down on the TT. He says he enjoys the fresh morning air with clear blue skies above but everyone else knows he just loves to pose. Sadly, we are still not ballooning due to the Foot & Mouth outbreak. With the recent cases around North Yorkshire and Lancashire it looks as though we may not fly this year at all. 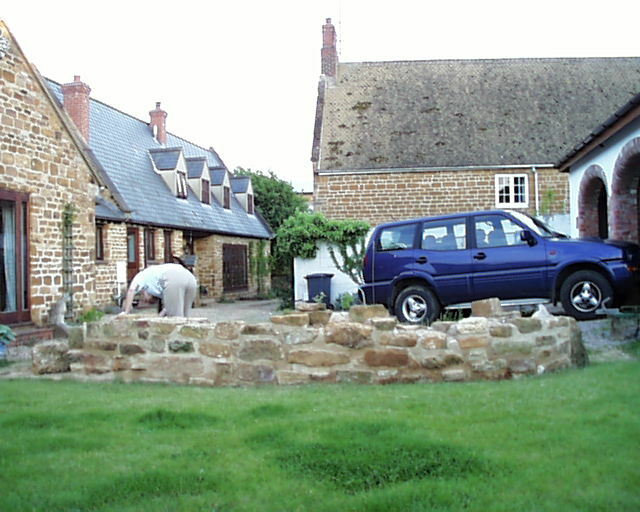 Having seen the footings fill with water every time it rained during the Autumn and Winter months we at last started to build the stone wall. The intention is to make it appear as though it was an old church wall and we will fit a gothic arch with a stained glass window. 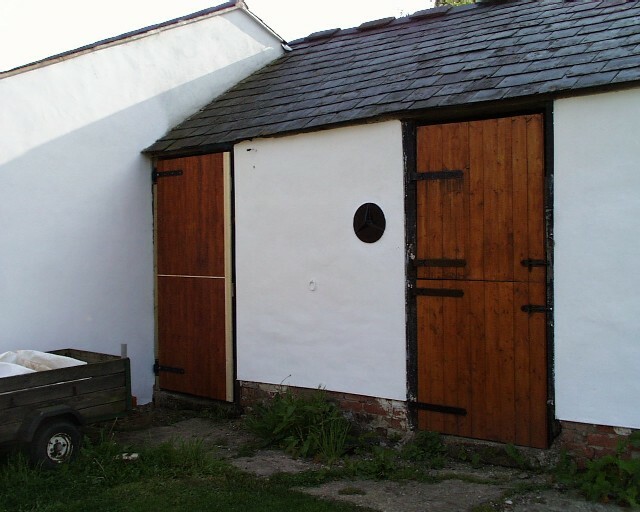 Steve at last has fitted a door to the barn next to the garage. This was one of those jobs which starts off as a straightforward replacement and turns into a complete rebuild of the door frame and new hinges. Initially we bought the hinges from B&Q at a cost of £22 per pair but then discovered that www.screwfix.com had the same product for £11 and delivered within 2 days. In future we'll try Screwfix first. With such excellent weather the grass, and the weeds, have been growing with vigour which therefore requires additional work just maintaining things in good order. We are losing the battle with the vegetable patch and have decided to try again next year. The strawberry bed is being nurtured by Jane in the hope of a bumper crop. 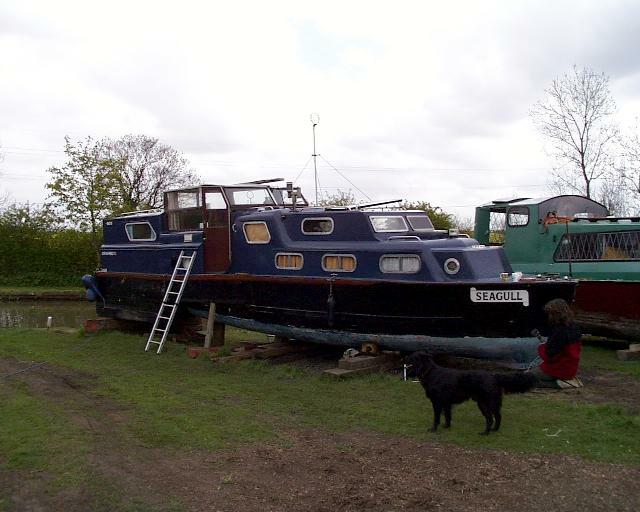 We have had lodgers staying with us this month because our friends Martin and Kate have had their boat out of the canal for a refit. They have been working all hours to get the boat back into shape and completely repainted from top to bottom. Martin is a very talented fellow and apart from unique boat building skills he also plays the guitar, runs a disco, repairs all kinds of office equipment and is an artist.